Team 9 – Black Friday, took First Place. Photo: Netsco. 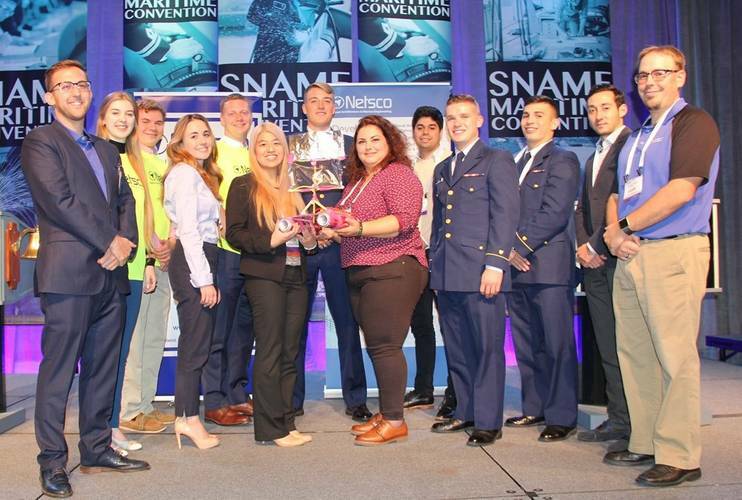 NETSCo announced the winners of the 2018 Society of Naval Architects and Marine Engineers (SNAME) Student Design Competition held recently during the 2018 SNAME Maritime Convention in Providence, RI. 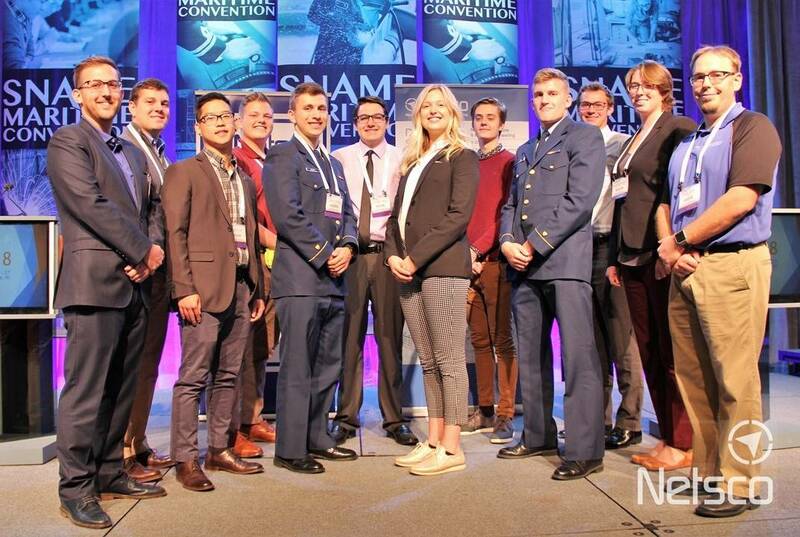 Many interesting designs were devised with over 150 students participating in the competition. Congratulations to our winning teams: First Place Team 9 – Black Friday; Second Place, Team 8 – PlayBuoy; and, Third Place, Team 5 – Team Boats. 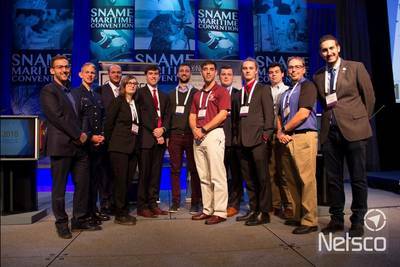 Stephen Bruno Yellow, USCG Academy; Anthony Rkza, Stevens Institute of Technology; Joseph Lodge, Stevens Institute of Technology; Andrew Mueller, Stevens Institute of Technology; Benjamin Lee, Webb Institute; Nick Jabs, USCG Academy; Anika Szuszman, University of Michigan; Martine Montgomery, Florida Atlantic; Thomas Schubert, Virginia Tech; and, Jared Schwallie, University of Michigan. Tybalt Lea, Memorial University; Candace Wiwel, University of Michigan; Vessica Suarez, California Maritime Academy; Cooper Mitchell, Florida Institute of Technology; Aldric Terral, California Maritime Academy; Charles Schertzing, University of Michigan; Hannah Waddeau, USCG Academy; Benjamin Taminceiz, USCG Academy; Martin Jacoby; Universidad Technologica Nacional; and, Nicholas Stryker, Stevens Institute of Technology.